Adhesives and Sub-floor Preparations - Blamphayne Sawmills Ltd. Single component, solvent free flexible adhesive. Suitable for under-floor heating. Approximately 1kg = 1m2 (depending on trowels notch size). Single component water based moisture suppressant. One coat application. Dries from blue to clear typically in 30 minutes. Works up to 97% RH. Approximately 11.tr = 5m2 (0.2mm film). Coverage varies depending on batten centres. Speak with our sales team for advice. For use with with gun grade adhesive. Coverage varies depending on notch size used. 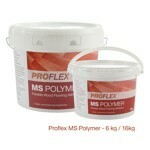 Cleaning wipes to remove MS Polymer adhesive from surfaces. Solvent free two component, high resistant elastic adhesive. Suitable for all engineered floors and solids up to 350mm wide. Suitable for under-floor heating. Solvent free two component epoxy resin for use with L36 Adhesive. 1 coat acts as a primer, 2 coats act as a DPM. Low solvent based single component adhesive. Suitable for engineered floors up to 15mm thick and solid floors up to 120mm wide. Suitable for under-floor heating. Single component for use with S11 adhesive. Single component solvent free flexible adhesive. 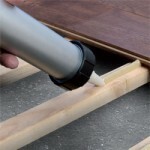 Solvent free one component primer for the preparation of substrates prior to the use of parquet adhesives.